The Scottish Open was held at the Corn Exchange in Edinburgh. 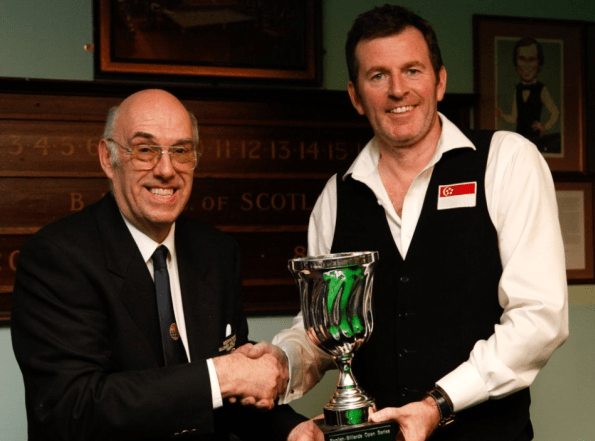 This was a Level 3 full ranking tournament, with £2000+ prize money. 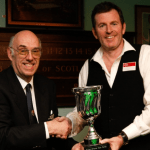 A tense final was won by Peter Gilchrist over Dave Causier. Dave started with a 323 and Peter replied with a 339, the tournament high break. Peter ran out on 546 to 461. Read the Edinburgh Evening News articles on us here and here. We were very fortunate to attract two sponsors – Bell Group and McTear Contracts, We cannot thank them enough.